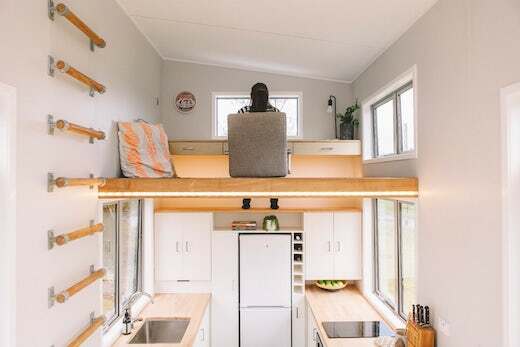 The New Zealand firm Build Tiny recently completed a tiny home, which has some very innovative and effective space-saving features. 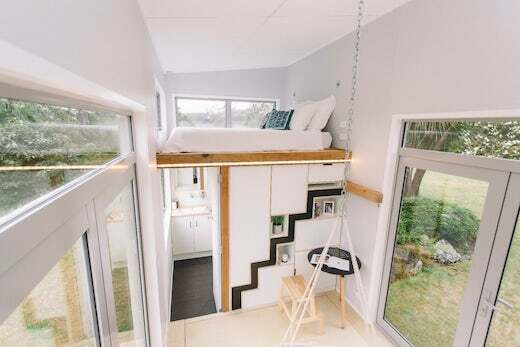 This so-called Millennial Tiny House is also available to buy at various price points and is therefore accessible to those on a budget, as well as those who want a fully equipped home, which they can move into right away. 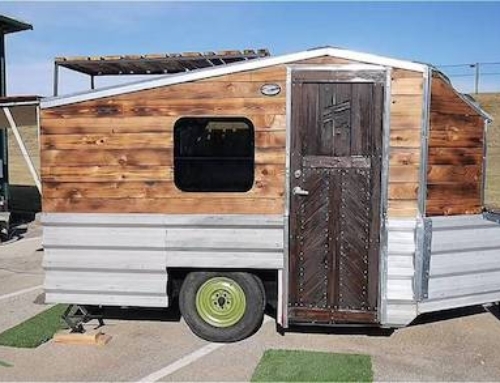 The Millennial Tiny House measures 23 by 7.8 ft (7.2 by 2.4 m) and rests atop a double-axle trailer, so it can easily be towed. 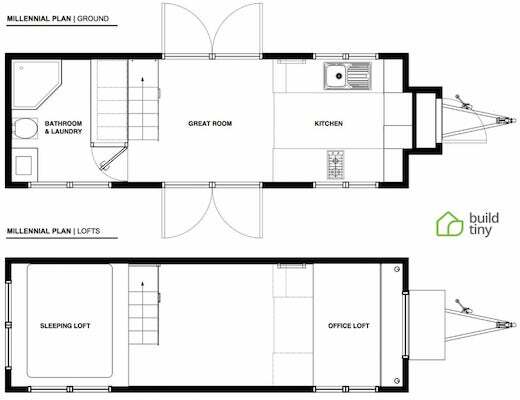 Most of the interior space is taken up by the living/kitchen/dining area, while storage is located beneath the floor, which frees up the available space considerably. The downside of this is that a sofa or regular dining table would make this storage space hard to access, but this can be solved by fitting the home with movable furniture. The home also features a unique and innovative sliding staircase, which leads to the sleeping loft above the living area. This staircase can be stored away when not needed, then pulled out from the wall to provide access to the loft. It’s made from poplar-plywood and has a lightweight aluminum frame. Next to this staircase is the bathroom, which is separated from the rest of the home by a sliding door. 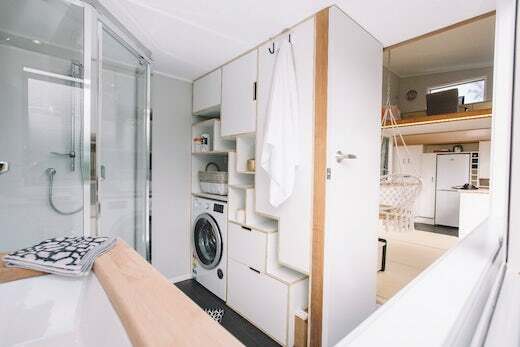 It is fitted with a sink, shower and a composting toilet on wheels, and there is also enough space here for a laundry area. The home’s kitchen is also very generously sized, with enough room for a full-size fridge, a sink, a two-burner propane stove, a large counter and plenty of storage space. 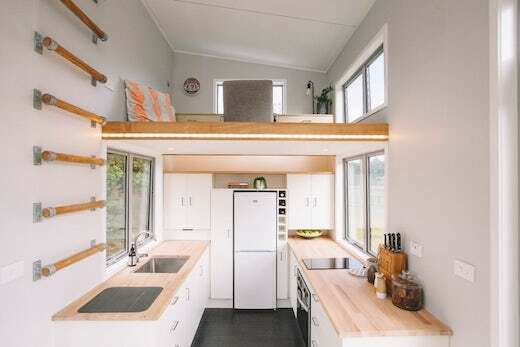 The home’s second loft is located above the kitchen and accessible via the kitchen counter and a ladder installed above it. This loft can be used as a home office or a second bedroom. The office already has a built-in desk, which is attached to the wall. There is also a footwell which uses a kitchen shelf to provide a comfortable sitting experience. 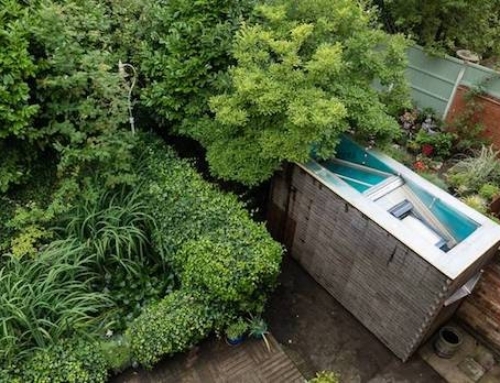 This area also features some additional storage space. The home is also fitted with two large French doors which are located opposite each other to provide great ventilation, as well as flood the interior with natural light. 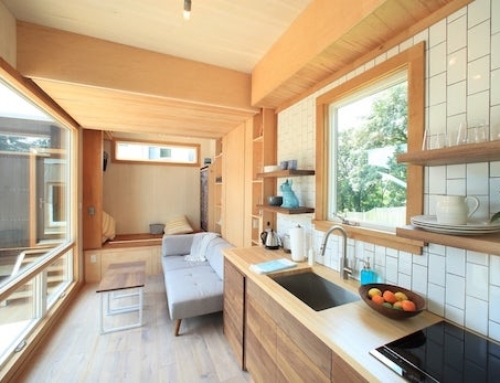 The Millennial Tiny House features a steel frame and Earthwool insulation in the ceiling and walls, while polystyrene was used for underfloor insulation. The cladding is Cedartech and treated steel, while the home features a typical RV-style hookup for power. 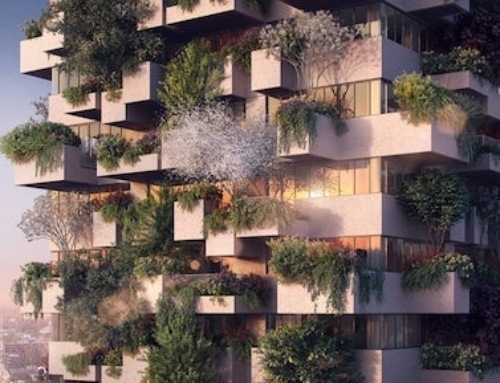 The company also offers the optional solar power upgrade, which would make this dwelling independent of the grid. 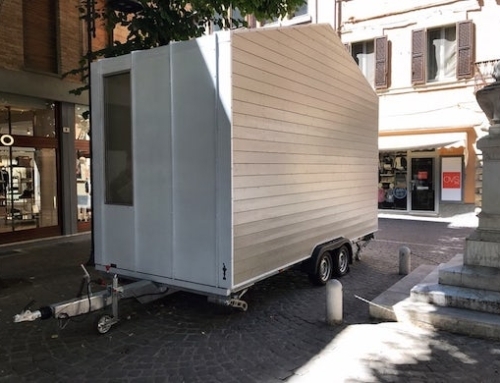 The model pictured here is a prototype but the Millennial Tiny House is also already available to purchase. 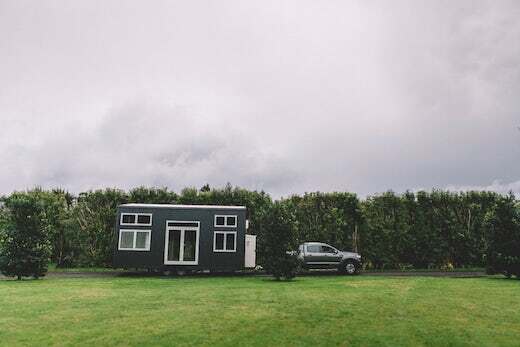 There are three pricing tiers, which start at $43,000 (59,750 NZD) for just the watertight shell, $65,500 (90,995 NZD) for the shell, along with all the plumbing, wiring and insulation, while the fully-fitted version can be purchased for $86,700 (120,500 NZD).